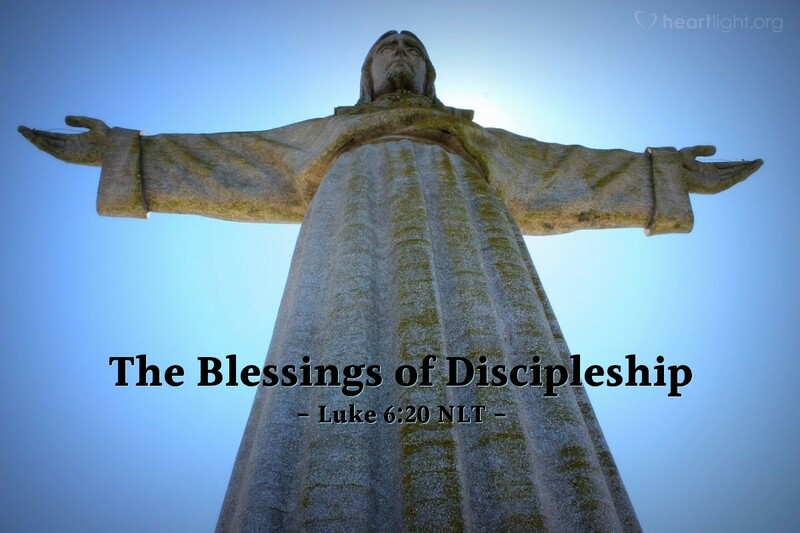 Then Jesus turned to his disciples and said, "God blesses you who are poor, for the Kingdom of God is yours." Even though the crowds had mobbed around Jesus for healing, he uses this moment to teach his disciples. The words given here are not general promises to all people, but blessings given to those who surrender to the call of Jesus and follow him with all their hearts. The Kingdom, Jesus reminds the disciples, is for those who are poor — for Luke, "the poor" are folks who depend upon God and who know that they do not have the power or wealth to cause change or to provide for life on their own. Those who are poor in this way trust in the power of the Lord and seek his power in their lives. Without the Lord, they know they have no hope and no power in this world. In the hearts of such people, the Kingdom comes with power and hope. Father of all wealth and power, teach me to be poor like the godly poor waiting for your Messiah to come to them. I need to recognize that my best is nothing. I know that my greatest claim to fame is valueless. Without you, without your Kingdom, your Messiah Jesus, my dreams are all earthbound, and my strength is a shadow. In Jesus' name. Amen.